Never have I been more jealous in this job before – Bulent, one of my colleagues who works on our Nintendo blog, WiiWii, today met with Charles Martinet, who provides the voice for Mario, in town for today’s launch of Super Mario Galaxy. Itsa me, Mario! Dressed as an air freshener! Mama Mia! 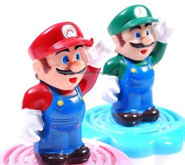 Super Mario Bros. purists might get a little angry when they see these air fresheners – check it out, Luigi is made from the same mould as Mario, just painted differently! Mama Mia! Whoever has their TV and Wii set up in their kitchen is asking for trouble, or perhaps something larger than a studio flat, but it seems there are enough gamers out there experiencing problems to garner internet interest in the story. 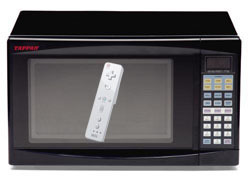 Plus, anything to mock up a microwave/Wii-mote Photoshop hybrid, really…. Now, although I’m a firm Wii fangirl, I’m not immune to admitting there were a few discrepancies between the features first mentioned when the Wii was announced, and what consumers were actually left with after the console hit the shelves. Every gaming manufacturer does it, although none quite as drastically as Sony with the PS3, as any avid reader of Gary’s UK Resistance knows all too well during those months when Europe was at war…. As you’ll know if you read Games Digest’s comparison of the Wii and PS3 web browsers yesterday, the only area in which Wii’s Opera browser struggles is any site using Flash 8 – which includes the videos on MySpace and Bebo. However, one of Opera’s senior technical service consultants says it’s Adobe’s fault for not including Flash 8 in the latest version of its Flash SDK. Computer games make you fat, slothful and unhealthy. At least, that’s what my parents told me as they locked my C64 in a cupboard and sent me out on a 17-mile cross country run every morning as a child. Good news for Wii-owning rawk monsters. 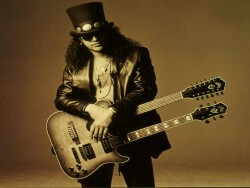 Not only is Guitar Hero III heading Wii-wards later this year, but it’ll come with the same guitar peripheral as other versions, and the connectivity that’ll allow gamers to play online and download new songs. 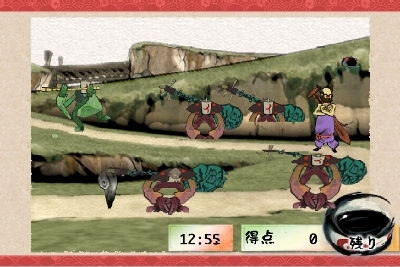 What’s more, publisher RedOctane says the game will use the Wiimote too. 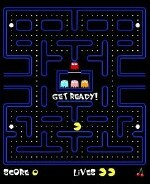 The latest retro game to appear on the Wii’s Virtual Console service is perhaps the most well-known of them all: Pac-Man. The ol’ pill-chomper is one of three new Virtual Console games this week, alongside ActRaiser and Bonk’s Revenge.